Sincerely, thanks for your support to Wit-Color all-year-round. Wish you Merry Christmas and Happy New Year! A year's plan starts with spring. By this chance, we are glad to remind you of the stock order for the coming new year. 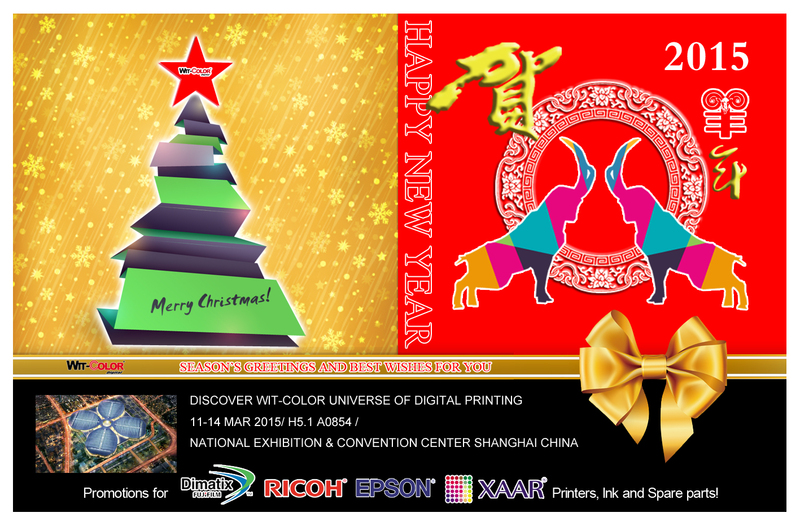 As support, In this season, our printers and ink are on promotion. Welcome to inquire. If there is any needs, please feel free to let us know. Next : 2019 We Will do better! 2019 We Will do better! Sign up with your name and email to get the latest Wit-Color updates. © Copyright: Shanghai Wit-Color Digital Science & Technology Co., Ltd. All rights reserved.